Justin Langer, the Australia coach, has said the reintegration of David Warner and Steve Smith is "getting closer", but added that their participation in the ICC Men's Cricket World Cup 2019 would depend on how quickly they recover from their elbow injuries. Australia's one-day international series in India first and then against Pakistan in the United Arab Emirates are their last opportunities to set plans in place before the premier event. 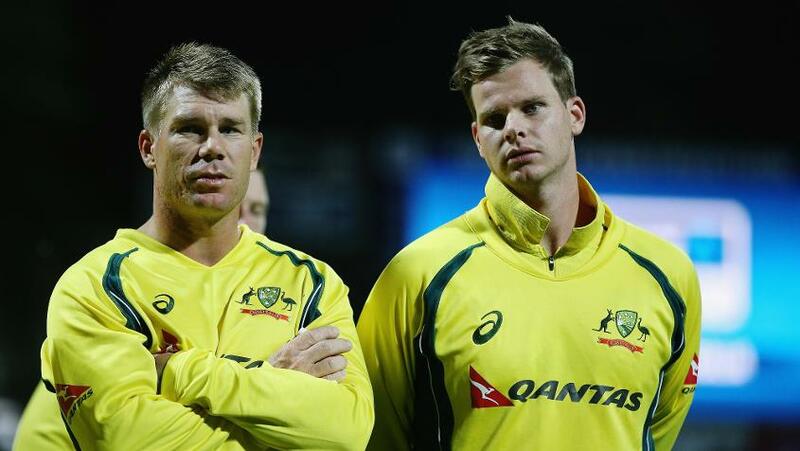 Smith and Warner are in the final stretch of their 12-month suspension for the ball-tampering incident, and while they will miss the series against India, they will be eligible, from 29 March, to play in the final two ODIs against Pakistan. "The last few World Cups, Australia have been among the favourites, having enjoyed so much success. So that's different for the team [and it is] going to be exciting to watch. @kaspa369 on Australia's challenge of being underdogs at #CWC19. Only Warner is likely to play that series, though, with Smith needing to recover from a major surgery on his elbow. “We've got to keep working on how they (Smith and Warner) are with their elbows, first,” said Langer. “They're going to need to get some cricket before coming back into the squad. It's all part of the management. We'll have to wait and see." Reports suggest Smith might even sit out of the World Cup, due to the more serious nature of his injury, and might concentrate solely on getting ready for the Ashes, beginning in August. However, Langer said it was all down to the reintegration process. Steve Smith is set to be out of action with injury for at least six weeks. "We know it's been a tough time for them, it's been a tough time for Australian cricket, but we know the word integration has been going for the last nine or 10 months, or 11, it's getting closer isn't it," said Langer. Australia will begin their World Cup campaign against Afghanistan in Bristol on 1 June.